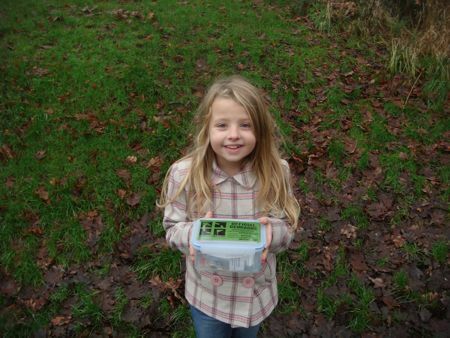 We don’t usually do much caching in the week but with the school holidays on, we inevitably end up finding a few. Isaac and Mrs Bolas Heathens had a few errands to run in Stafford and Stoke, so stopped off to find a quick three caches. Not much to report from what I hear apart from 3 easy finds. I had an hour spare just after dinner so decided to head out and pick off our closest cache to home – a cache by RAF Tern Hill, an active airfield and army barracks. I was a bit apprehensive about the cache given it’s proximity to MOD land and the very real risk of armed guards wondering what the heck I was up to. Thankfully it was an easy find, but it was (just about) on MOD land which is not allowed. I see now a Reviewer has archived the cache, which all things considered is very much the right thing to do. The last thing we want is our hobby coming under scrutiny for all the wrong reasons. I was enjoying myself so decided to head off to Whitchurch to clear up the (quite a) few new caches that had spriung up recently in the area. 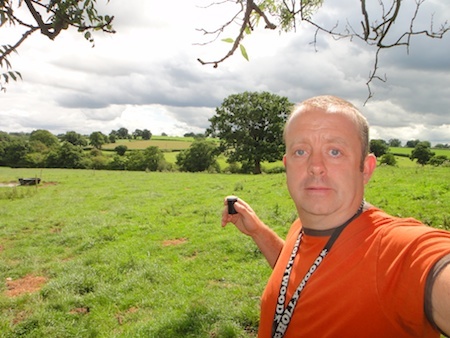 On the way I picked up a straggler cache near Malpas in Cheshire that we’d been meaning to do for ages. Not much to report on the Whitchurch caches apart from lots of very tricky and camo’d micros in ivy (not our favourite type of find at all). Two of them do stand out though as they were decent sized boxes full of decent swaps and hidden in nice locations. I’d been working on a puzzle cache called Blank Canvas just to the south of Warrington on and off for the last few days and just after tea today I had a flash of inspiration on the final part of the puzzle and the cache co-ords were then revealed. I’d not normally drive just over an hour for FTF but given how many people are currently working on the same puzzle, I could not resist. A quick call to Allun from the Shropshire Seeekers to see if he wanted to tag along and we were on our way. By the time we had arrived it was dark, so out came the torches for the walk over the fields to GZ. The cache was an easy find and we were delighted to see we were FTF :-). We’ve been really busy with other things the last few weeks so have not had time to keep our Blog as up to date as we’d liked. 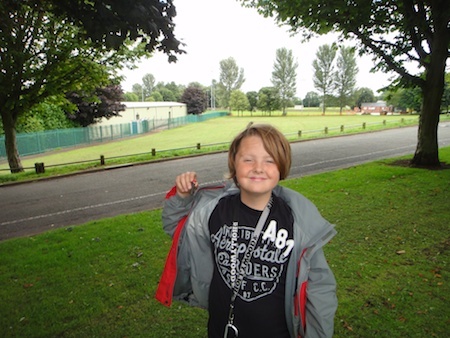 Isaac went caching with his Grandparents, while they were judging churchyards around Staffordshire (don’t ask! :-)). 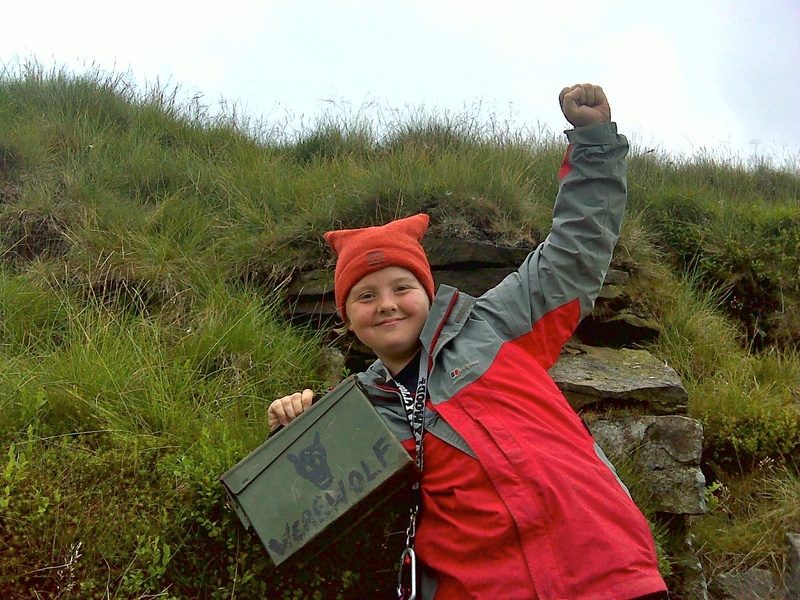 Started on the new LEGEND Letterbox caches in Lancashire with the Hurstwood and Widdop sections. On Sunday we planned to attend the NW Caching Monthly Meet at Winwick, near Ikea just north of Warrington. We were running behind all morning due to putting the clocks forward an hour last night, so arrived at the event a bit later than planned. Not a problem though and we had a great time. The quiz was really tricky but we managed to answer some of the questions and were really surprised to find we’d won (we never normally win anything!). 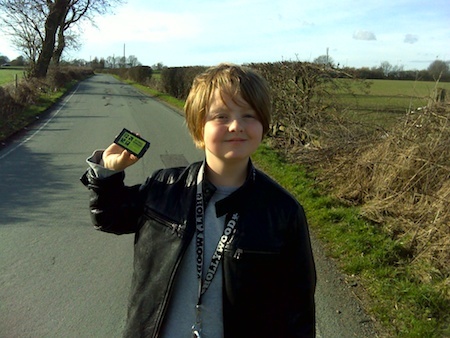 Our prize was a lovely unactivated NW Caching geocoin :-). On the way home from the event I’d spotted a cache and dash on the way to the M6 so we headed off for that. A nice easy find was had, but the cache itself was not that quick to do as a dual carriageway got it in the way and took us a bit out of our way. All part of the fun though. We then headed off home having had a great time meeting lots of old friends :-). Today we were in Warrington delivering Christmas presents to various relatives. By the time we’d done our rounds it was getting late but there was just time for one cache. We decided to head home via the M6 rather than our usual route of the A49, so a quick drive-by near Grappenhall looked perfect. The lane the cache was on was very icy and there was a sign saying the lane was closed, but the Jeep had no problems getting to GZ. 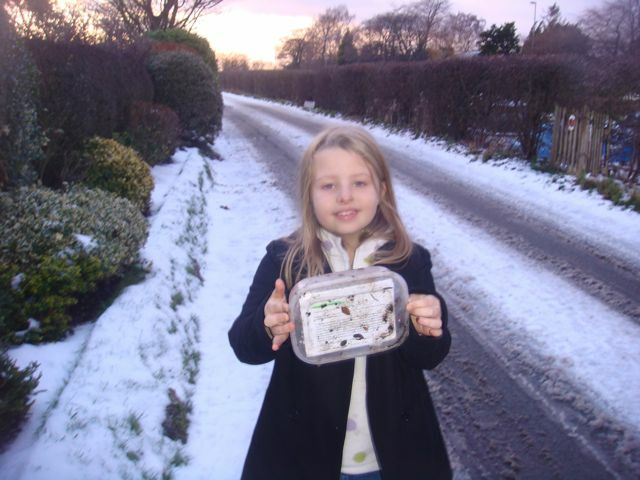 Myself and Freya jumped out and Freya found the cache instantly (that’s my girl :-)). After we’d done with the cache, we managed to find somewhere to turn round and we were soon on our way home. On Friday, Mrs Bolas Heathens had booked us in for a health check at the Bupa hospital at Stretton, near Warrington. 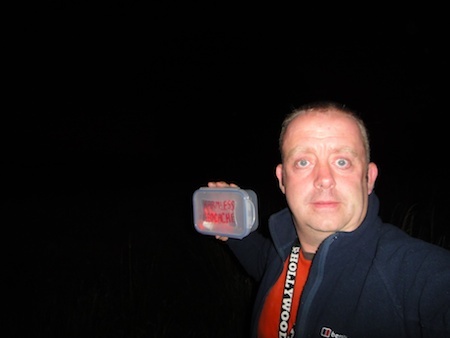 Naturally I had spotted a few easy to get caches for the way home – it would have been rude not to ;-). Just as we arrived at the hospital, I did a quick check of emails and spotted a new cache had been published 1.9 miles from home. Typical – no chance of a FTF dash for me today! After I’d finished my bit at the hospital, I dashed off into Warrington to get my hands on a new iPhone 3G(S). On the way back, I stopped at the Morrisons in Stockton Heath to walk down the cycle path by the side of the Manchester Ship Canal for a quick cache. A nice easy find and a really nice spot too (a lot better than I’m making it sound). After I’d picked Mrs Bolas Heathens up at the hospital, we set off home, via a few drive-by’s. Nothing much to report with the caches apart from all being nice easy finds. I did wonder at one on the outskirts of Northwich, which was hidden on a Post Box as it seemed a bit pointless, but hey, a smiley is a smiley :-). When we arrived home, I dropped Mrs Bolas Heathens off and dashed off to the potential FTF as I saw it still had not had a find logged on it. It was in a place we’d scouted out for a potential hide ages ago but never got round to doing anything about it. I parked up and was soon at GZ for stage 1. The hint did not mean anything to me, but I soon spotted the nicely hidden micro anyway. I won’t tell you what was in the micro, but the penny dropped quickly and off I set for the final cache. Another quick find and a nice big ammo box too. Better still, I was FTF :-). We’ve got a lot of family in the Warrington area (both my parents were from there) and so we had our annual trip to the area, delivering Christmas goodies yesterday. 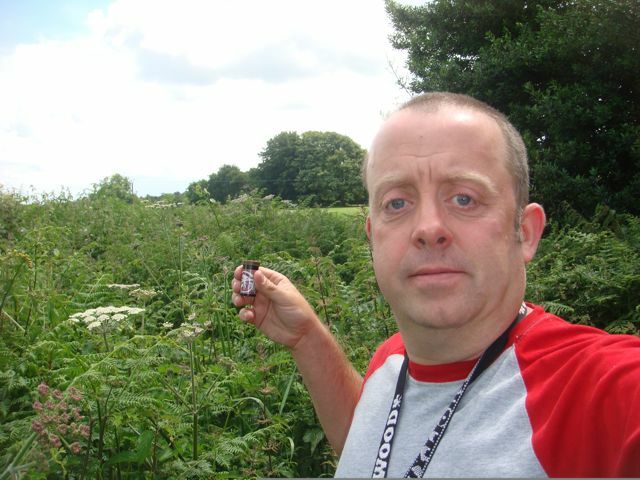 It would have been rude not to try and find some of the newer caches in the area while we were there ;-). The first one we tried was in some woods and we were short on time as we had to meet my sister, so after an initial scout around, we had to give up for now. After that, it was a nice walk to an easy find of a puzzle cache, followed by two drive-by’s. After visiting my parents grave, we had to go to my cousin’s in Birchwood so stopped to find the two remaining Warrington Sidetracked caches on the way (both easy finds). We then returned to the Cheshire side of the Ship Canal and had some lunch in a nice pub. 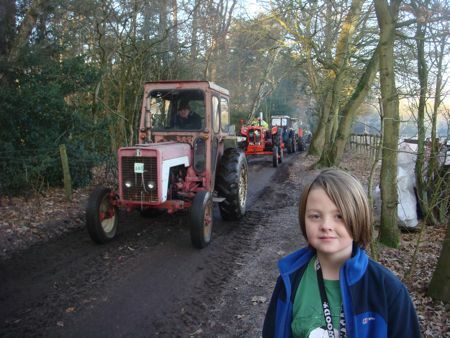 Just a few more quick caches and we were back at the woods for the cache we could not find on the way to Warrington. This time without time constraints it was a quick find and we were on the A49 going home. Isn’t it typical that when you are up against the clock trying to find a cache, you never find it. When you have more time, you can relax and the finding comes a lot more naturally.